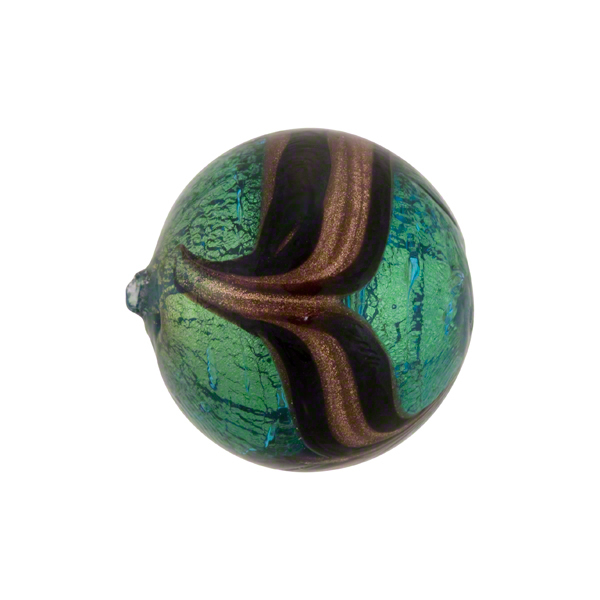 Authentic Murano Glass bead in a 14mm Round (approximately) with a 1mm hole through the center. It begins with the transparent Aqua Murano glass the 24kt gold foil) which encases the 24kt gold foil. A wide sash of Aventurina goes around the middle with a fenicio design adding to the style. 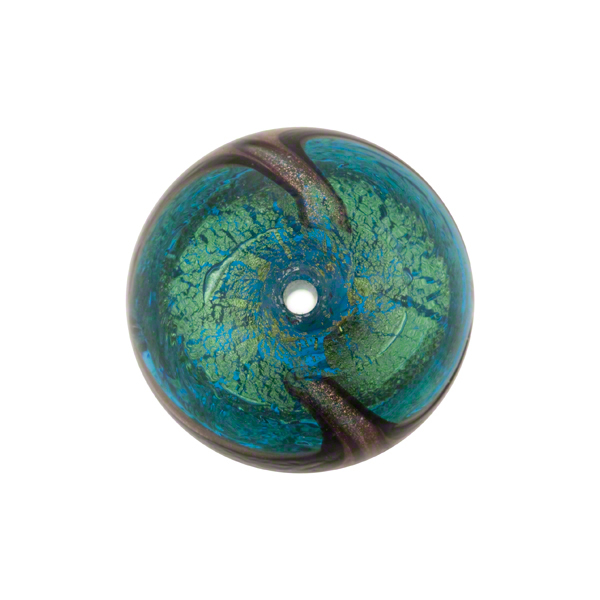 These are fantastic and match all our solid color Gold Foil Beads.